The ORNL DAAC provides user-friendly access to VIIRS and MODIS data through a suite of online tools and APIs. Join us to learn how to discover, subset, access and visualize both MODIS and VIIRS data products using a suite of user-friendly tools developed by NASA's ORNL DAAC. 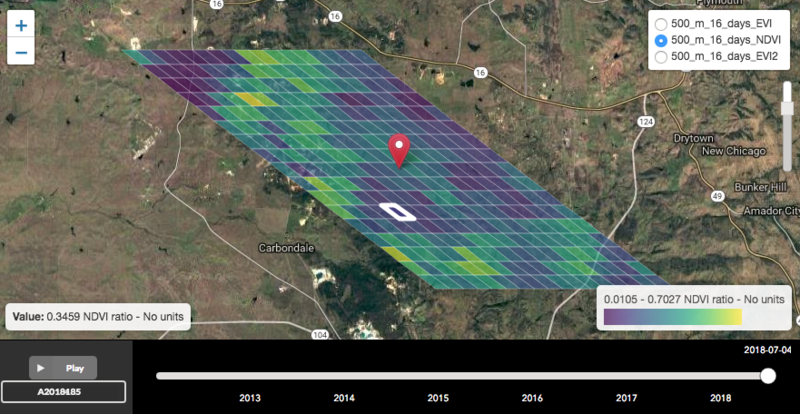 The volume and complex format of the Moderate Resolution Imaging Spectroradiometer (MODIS) and Visible Infrared Imaging Radiometer Suite (VIIRS) data products often present challenges for researchers who are unfamiliar with remote-sensing data and formats. The Oak Ridge National Laboratory Distributed Active Archive Center (ORNL DAAC) has developed a suite of user-friendly tools that offer easy retrieval of the data products generated from these sensors. The first section of this webinar will introduce the features and capabilities of three tools that provide access to user-specified subsets and visualizations of data from MODIS and VIIRS. The second section of the webinar will demonstrate how to integrate data delivered by the MODIS/VIIRS Web Service with user workflows as well as techniques for filtering the data based on custom data quality criteria. The workflows will be demonstrated with R and Python in interactive Jupyter notebooks.